Gain full visibility. Run your business better. 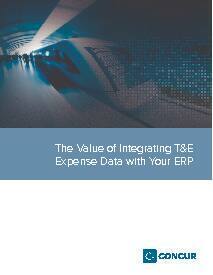 This new whitepaper examines how to integrate every bit and byte of your T&E and ERP data, so you can get a single, accurate and instant look at the financial figures that drive decisions and overall performance. Download the whitepaper now to learn more. Complete the details below to download the whitepaper.